We have tested out one of the world’s fastest growing online trading platforms, IQ Option. Keep reading to find out everything there is about IQ Option! 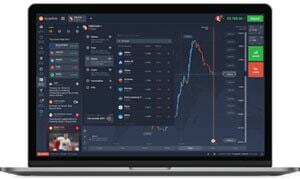 IQ Option offers a unique trading platform for FX options, CFDs on forex, cryptocurrencies, stocks, indices and commodities, professional clients can trade there also binary and digital options. The CySEC regulated IQ Option company that allows real trading starting at $10 appeals to new and existing clients mainly with its ultimate trading platform, and competitive fees (spreads). New traders can set up a FREE Demo trading account at any time. Demo account: Yes, free of charge, reloadable. No deposits required. Operator: Iqoption Europe ltd. (Cyprus). Regulated by the CySEC. The IQ Option real account requirements are slightly different in comparison to the accounts of other brokers. The minimum deposit is as low as it can get – $ 10. The lowest possible investment is only $ 1, so if you wish to trade small amounts you are free to do so. The advantage of these very precisely adjusted investments is that you can easily follow your money management strategy which is very hard to do using other platforms that usually require a minimum deposit of $100, $200 or more. IQ Option is an international company that opens its doors to traders from around the world. They provide support in the 14 following languages – English, French, Italian, Spanish, Portuguese, Chinese, Korean, Arabic, German, Turkish, Thai, Hindi, Urdu and Norwegian. On top of that, clients who choose this broker can finance their account not only in USD or EUR, but also in: GBP, Yuan, MYR, IDR, and RUB. The IQ Option trading platform offers a very fast, clear and modern solution for its clients. The trading platform can very well stand-alone as the only tool for your analysis as it features all the things a trader needs to have at his hand. That includes all the popular indicators (RSI, BB, Stochastic, etc. ), graphical tools (trend, horizontal and Fibonacci lines…), historical quotes and of course a multi-chart layout. To stay up to date with the news, traders can use on the platform volatility alerts, market updates, stock screeners, calendars and newsletters. Currently, there are over 110 video tutorials that traders can use to understand how certain indicators work or to watch the news. The broker also offers an Android/Apple application very similar to the computer version that you can download to your smart device. Regarding the leverage and spreads, they both differ depending on traded asset. The IQ Option trading platform features a wide variety of trading instruments, these include CFDs on forex pairs, cryptocurrencies, stocks, indices, commodities, ETFs or FX Options. Clients who come from non-regulated countries (most countries outside Europe) or European traders that are classified as professional traders can also trade binary and digital options. The asset number of each instrument category tends to change as the broker frequently add new ones to the platform. As of now, there is 17 cryptocurrencies, 87 Forex pairs, 169 Stocks (CFD), 21 ETFs, 10 Indices and 6 commodities. The IQ Option platform features various kinds of charts and charting tools. There are 4 chart types, the one that is set on default is the line chart, there is, however, also option to switch to bars, Heikin-Ashi or to our favourite candlestick chart. In total, there are 18 available indicators for you to use on the charts. They are fully customizable, allowing you to change basically anything from the period (the number of candlesticks used for calculating the value of the indicator) to the colour and even thickness of the lines. Some of the popular indicators also include text or video guide how to use them when trading. Once you set to your indicators the setting you want to frequently use, you can create a template. By doing so, you will be able to quickly apply the template with your indicators to any chart whenever you want. We all know that just indicators and good-looking charts are not of much use without the help of lines that you can use to draw support and resistance levels, trends or other important lines. It is a good thing then that the IQ Option platform does not forget about graphical tools like basic lines, trend lines, horizontal lines, vertical lines or Fibonacci lines. There are 3 ways how you can set a timeframe of your chart. The first option is to click on a time period that is featured right below your chart. The second way how to choose your timeframe is to click on the time interval button that is situated on the left bottom of your chart. This option can be chosen only if you have a candlestick or bar graph, it does not work for the line chart. 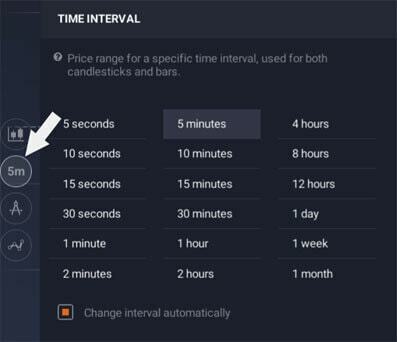 Here, you select what time interval should each candle or bar represent. So, if you choose 5 minutes, each candle/bar will speak for a price market movement of 5 minutes. That means the chart before you will show you the asset movement of the last 3 hours. The third option is to just simply use the scroll wheel on your mouse. If you scroll up you “zoom-in” and the time-frame gets smaller. Guess what happens when you scroll down :). 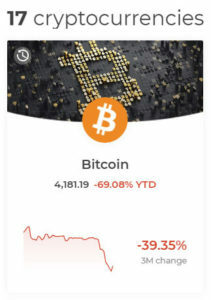 In case you want to monitor more than one asset at the same time, you can take advantage of the multi chart layouts that the platform features. Towards this purpose, use the chart layout icon that is situated right next to the IQ Option logo. Once you do that, choose a layout that you wish to use. To change an asset in your multi chart layout, just simply click on its name and select a different one. The position auto-closing feature on the platform works as a stop loss and take profit. This tool can be set to a specific profit/loss amount, percentage number or asset price. When it reaches or drops to the figure you specified, the trade automatically closes itself. 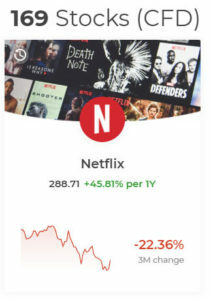 By using this feature you secure your positions and you know that you will not lose more money than you are willing (or secure your earnings). Recently, IQ Option also added to the trading platform “Trailing Stop” that makes your stop loss dynamic. A position with activated trailing stop moves the stop-loss threshold up (in case of a BUY deal) or down (in case of a DOWN deal) if the market experiences a trend. Trailing stop explained on a simple example – Let’s say you buy a stock (CFD) of a company called ABC for $10 and you activate trailing stop with a 10% stop loss. In case the value of the stock dips by 10% the position will close itself and IQ Option returns you $9. If, however, the stock goes up to $20, the trailing stop will come up along with it. Which means when the stock price is at $20, the stop-loss will trigger once the value of the asset is below $18. I would recommend trying this wonderful feature to anyone as it helps you to manage your risks even better than just simple SL. Doing your fundamental analysis is also possible with IQ Option as they feature breaking news and important announcements right on the trading platform. To access them, head to the left menu and click on market analysis. 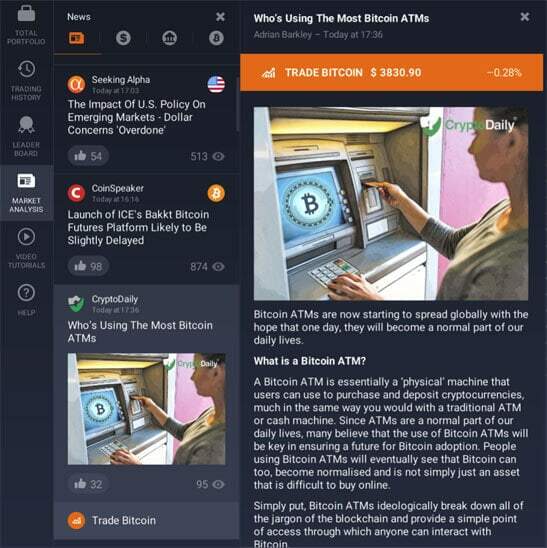 The news is sorted into 4 main categories and comes from high authoritative sources like Investopedia, Yahoo Finance, Forbes, CoinSpeaker and many others. By using this feature, you will never miss important news about the forex, stock, crypto or commodity market. If you want to compare your success to other traders on the IQ Option platform, you can. The feature that allows it can be found in the left menu of the trading room and is called “leaderboard”. Here, you will see the gross profit that traders made over the week, the metrics include transactions executed only on real accounts. A great thing about the stats is that you can monitor your worldwide position as well as the position you have in your country. Unfortunately, the feature shows only the gross profit which means you have no idea how much money the traders lost while achieving their rank. I, therefore, don’t find any special or deeper use for the IQ Option ranking system. It’s just simply a comely feature to look at for fun. 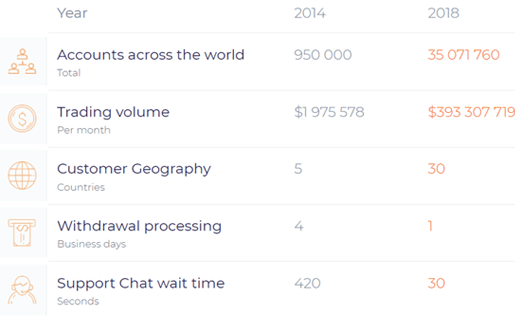 To connect traders on the IQ platform, the company, also created a live chat where traders around the globe share their ideas and achievements. 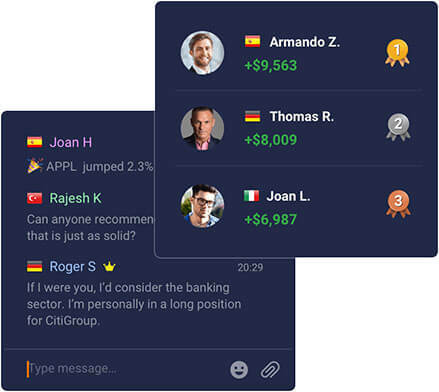 Live chat with other traders is available to all users who have at least a trading volume of $300. There are few general groups that discuss basically anything, no matter the asset type or sector. Discussions on the theme of specific popular assets like Bitcoin, Microsoft stocks, gold, et cetera. are also held on the platform. Sadly, they just don’t have that many participants so don’t expect a big queue of pro traders waiting to spread their ideas. The IQ Option trade room can be accessed either via the web-based platform or by using applications designed for Mac OS, Windows, iOS or Android. The web-based platform and Windows application look and function exactly the same. The only difference in the two is according to IQ Option in the speed of the platform which should be up to 5 times faster in the app. On mobile devices, it is, however, a different story. While the basic functions like opening and closing positions work perfectly fine both on the web platform and Android/iOS app, the interface is not especially friendly on the web platform and operating with graphs is at best complicated. So, if you plan to trade on your smartphone I would definitely recommend downloading the IQ Option app, here is a comparison of the web-based platform and android application. Almost no asset is tradable around the clock and some asset types can be actually traded only for a couple of hours during the day. To know exactly when you can trade your favourite asset, I advise visiting the https://eu.iqoption.com/en/trading-hours-and-fees page where this information is disclosed. Market hours of all assets are displayed in the UTC +1 time zone. That means if you are located e.g. in the UK, you live in a time zone that is not 1 hour ahead (UTC + 0) as IQ Option is. So, if you find in the IQ Option trading hours table that the Microsoft stock (CFD) can be traded on Monday from 15:30 to 19:00, you will be able to trade this asset when your clocks display 14:30 – 18:00. It is crucial for each trader to understand what fees IQ Option charges. Unlike some other CFD providers, IQ Option has a no commission policy, which means there are no fees e.g. for the execution of trades. What the broker will most likely charge you with is the spread and in certain circumstances with the overnight fee. There are, however, also 2 other fees, the inactivity and withdrawal fee. Now we will closely discuss each, so you could fully understand when the fees are charged and how big they are. The spread fee is the difference between the price for which you buy an asset and for which you can sell it back. IQ Option spreads are not as competitive as at Plus500, but they are still fairly tight. The general rule of thumb is that the more popular asset you trade, the lower the spread is. You can find spread for each and every forex, cryptocurrency pair or stock… in the menu where you pick a new asset. The spread is there, however, displayed in percentage, so if you want to know how many pips the spread is you have to open the asset and have a look at the left bottom corner of the chart. The data were taken on 28.11.2018 at 13:13 GMT+1. The IQ Option spread is based on the current market conditions which means it changes in real time. The table above is to be used just give you a general idea where the spreads might hover. The second expense is an ongoing fee and is charged to every position that is opened overnight. This fee is also known as the swap fee and at IQ Option it ranges between 0.003% – 0.015%, in extreme circumstances up to 0.6%. It is also important to note, that the swap fee is 3 times higher than the normal swap fee from Friday to Saturday. 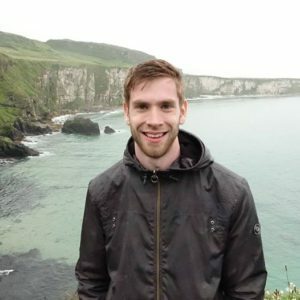 Up to date information regarding how big the overnight fee is for all assets and when it’s charged can be found on the page https://eu.iqoption.com/en/trading-hours-and-fees. The third fee IQ Option charges whenever a user is inactive for a period of at least ninety (90) consecutive days. The charged amount is €50*. Be aware that they charge this fee each month once the account is not active for the above-mentioned time period. In a situation when there are not enough funds on the account to pay this fee, the inactive fee is not charged as your account balance cannot get into negative numbers. Remember, however, that if your account does not have enough resources to pay this fee and stays inactive for 12 months, they will charge a lower amount to cover administrative expenses and close the account completely. In case you plan to take a break from trading on the IQ Option platform, I would advise withdrawing your funds, especially when there is no fee for almost all withdrawal methods. The last, fourth, fee which you can encounter with is a withdrawal fee. This one, however, applies only to bank transfers and is 25€*. If you use other payment service providers such as the Neteller, Skrill or Webmoney, then no withdrawal fee is charged to your account. *or equivalent of this amount in a different currency. Each asset category can use different financial leverage. It also differs for traders from regulated and non-regulated countries (and professional traders). Here is a table describing the leverage (up to) of each asset category. The table was updated on 28.11.2018 for which it is accurate. *For Bitcoin, for Ethereum and Tron 1:50, for rest of the cryptocurrencies 1:20. Why is leverage different for traders from regulated and non-regulated countries? The obvious question after going through the table above, right? Here is the deal. In the EU, all regulated brokers have to follow the new ESMA law which states the maximum leverage for each asset category a broker can offer. In non-regulated countries, a law that would set the maximum leverage does not exist and therefore the broker can make this decision on its own. We all know that leverage can multiply our winnings as well as our losses and because ESMA wants to at least somehow limit the risk that EU clients take, they established this law. Where do I find leverage on the IQ platform? oh, Multiplier! Now, you might have noticed that there is no such thing as leverage on the picture above, that is because the broker calls it as a multiplier, but it is exactly the same tool. Once you decide to trade with real money, you can use the following deposit and withdrawal methods when financing your account: Credit and debit cards, Neteller, Skrill, Webmoney and bank transfer. For now, PayPal is not supported but according to IQ Option, this option might be available in the near future as well. Remember that the same method you use for your deposit also has to be the same one you use when you request a withdrawal. I would personally advice using e-wallets for funding your account as there are no fees for both deposits and withdrawals + the deposits are processed instantly. Credit and debit cards are also a good alternative but remember that you will be able to withdraw to the card only the total amount of the deposits you made over the last 90 days. It is so because card withdrawals can be processed only as refunds. That means all amounts surpassing your deposits (i.e. your profit) has to be withdrawn to an e-wallet or via a bank transfer. In order to deposit funds to your real account, you need to first go through the verification process (described in detail below). Once your account is verified you are set and can deposit your desired amount. 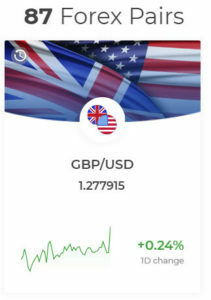 The minimum deposit is 10 USD/GBP/EUR. No matter your deposit method, IQ Option does not charge any fee. If you, however, deposit via a bank transfer, make sure you know your bank transaction fees. The withdrawal process is pretty straightforward, you just enter the amount you want to withdraw in the banking tab when you are logged in your account. There are no withdrawal fees with the single exception of a wire transfer. Withdrawals at IQ Option are processed within 24 business hours, which is in contracts to the competition a great advantage of the company. The minimum withdrawal amount is $2. IQ Option is a fully licensed company and as such it must verify the identity of each user before he opens a real account. Regulatory bodies (like the FCA) implemented this rule because people have complained in the past that brokers don’t let them withdraw their money (because clients did not submit required documents). The document proving your address cannot be older than 6 months and your name, as well as your address, have to be clearly visible. If you have, for example, internet banking you will surely find there a statement which you can use to verify your address of residence. In case you have decided to fund your account via a credit or debit card, you also have to submit a copy of both sides of the card. For your own safety, you are free to cover the CCV number (the three numbers situated on the back of your card). IQ Option needs only the first 6 and the last 4 digits of your card number. The verification procedure takes 3 business days as the IQ Option support needs to check all submitted documents individually. In case of any enquiries, you can contact the IQ Option customer service which can be reached out via online live chat (24/7), phone or email. From my experience, I know that the support team replies always very swiftly so you must wait for your answer a maximum of 5 minutes (usually it is rather around 1 minute). Unfortunately, quite often the first guy that they connect me with is not able to provide me with the answer I am looking for. Which means that my questions are either too complex or that the first guy on the live chat is not very experienced. No matter which, I always get my answer even if it means I have to communicate with more people. So, I appreciate that they do everything that is in their power to help me. IQ Option is currently one of the most popular companies among traders as it very recently welcomed its 35 millionth client. One of the biggest advantages that I see in IQ Option is that the trading risk is entirely in your hands. Firstly, it’s because you can use a free refillable demo account without having to make an initial deposit, and secondly, because you can create trades with just as little as $1. On the other hand, each broker has its drawbacks and IQ Option is not an exception. The biggest one I currently see is the number of stocks the broker offers, which hovers around 170. In Comparison to Plus500 that has on its trading platform around 2 000, this is really quite low. Final verdict: If you are looking for a safe option with a state-of-the-art trading platform, IQ Option is definitely a choice to consider. I recommend testing the company at least via a free reloadable demo account that can be created within 30 seconds. I want to trade cryptocurrencies with iq option. How do I get to this option? Hello Sandy, visit IQ Option crypto section, create a free demo account and start trading. If you think that you have got what it takes to invest your real money, just deposit your desired amount and go ahead with real trading. IQ option will accept Master Card debit card? IQ Option does not offer any trading robots nor does it accept USA traders. All fees on the IQ Option platform can be viewed here. They differ depending on the financial instrument you trade. Currently, the overnight fees for CFDs range from 0.045% to 0.5%. Withdrawals through payment service providers (PSPs) are free of charge (Skrill, Neteller, etc. ).